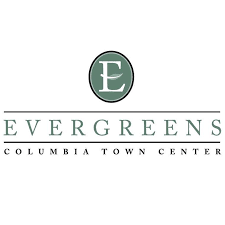 Evergreens at Columbia Town Center is changing the way active adults think about apartment life by offering an energetic lifestyle, elegant maintenance-free homes, and luxurious comfort. Located less than 30-minutes from Baltimore Maryland, in the upscale master-planned community of Columbia, Evergreens is a friendly, and welcoming, 55+ community that residents have said was “love at first sight”. Within walking distance to shopping, dining, and exercise paths with easy access to the expressway, it’s easy to discover why Columbia was voted one of Money Magazine’s top places to live, and why everyone is wanting to call Evergreens home. Ranging from 644 to 1,334 square feet, these beautiful (and pet-friendly!) 1-2 bath units feature impressive nine-foot ceilings, convenient full-size washers, and dryers, granite counters, and offer stunning city views. Evergreens make downsizing feel more like an upgrade with an array of amenities including a clubroom, fitness center, and heated outdoor pool, as well as an underground parking garage, and a rentable guest suite. When they’re not out on the putting green, or at the pool table, Columbia welcomes active adults to experience a charming and picturesque community. Strolling through Centennial Park, listening to live music at the outdoor amphitheater, or dining at award-winning restaurants, residents at Evergreens will wonder how they waited this long to start living the life they always dreamed of.